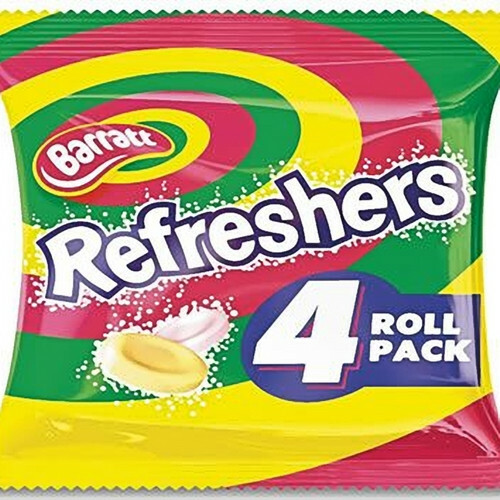 Refreshers sweets (not to be confused with Refreshers Chews which are completely different and utterly delicious too!) - The absolutely classic sherbety fizzy sweet in pastel colours... all in a tube. A bit like Fizzers, only much bigger! The little indented flat discs would make your tongue tingle - they are totally ace! They used to be made by Trebots, then Bassetts... and now the're made by Candyland. The name of the maker may change but, thank goodness, they have left the winning deliciousness of fizzy Refreshers sweets well alone!